I have the sweetest tooth. Nothing new there then! Obviously, most of the time I enjoy the baking process almost as much as the eating, and I especially love sharing my bakes with friends and family. But sometimes when life gets seriously hectic, or surprise visitors show up, its always handy to have a tasty sweet treat in your store cupboard that you can bring out when an emergency tea party needs to be thrown together. On the whole I don't eat shop bought cakes and biscuits - when hubby and I embarked on our weight loss, we both pledged that we would no longer 'waste' calories on food stuffs which we didn't really enjoy that much - no more eating for the sake of it. On the whole, shop bought cakes and biscuits are a bit ropey, especially in comparison to a home baked treat - so we decided that we would just enjoy the homemade stuff every now and then, rather than the processed items more frequently. The only shop bought cake item we agreed that we would still be likely to buy and eat 'off the shelf' was a Bakewell tart (The Mr Kipling variety) - they are our guilty pleasures, and for us, would never seem like a 'waste' of calories. Are there any other shop bought cake varieties out there that would stack up against a homemade treat, I wondered? 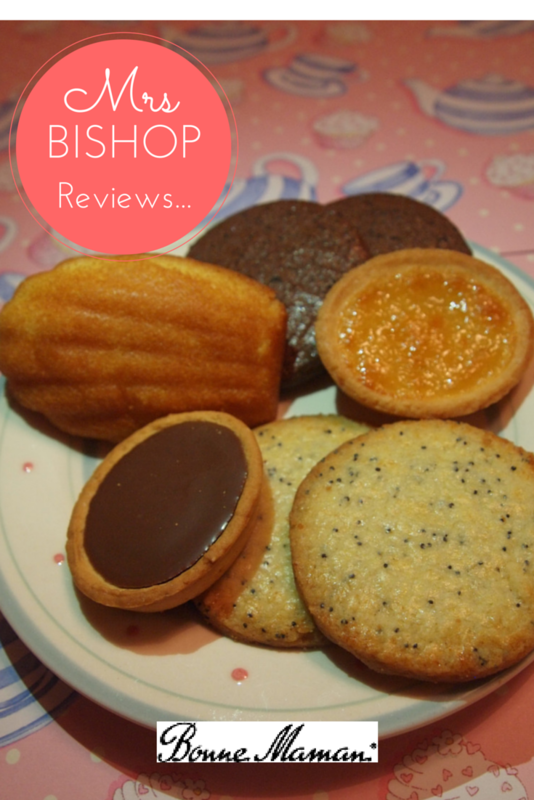 Then, a few weeks ago I was asked if I'd like to review some Bonne Maman cakes and biscuits. I decided it would be interesting (considering my new stance on shop-bought patisserie) to see what we made of them. I had heard of and tasted some Bonne Maman products before such as their jams and marmalades, I had also tasted one of their desserts (Baba au Rhum) at a friends house for a dinner party last year, and was very impressed at the taste and quality of the products. My previous experience with Bonne Maman had left me excited by the prospect of trying more of their range, and I wondered whether these shop bought treats would be good enough to make it onto my 'will buy/eat' list for shop-bought confection. Luckily, upon trying this new selection of their famous Madeleines and Gallettes, we weren't disappointed. 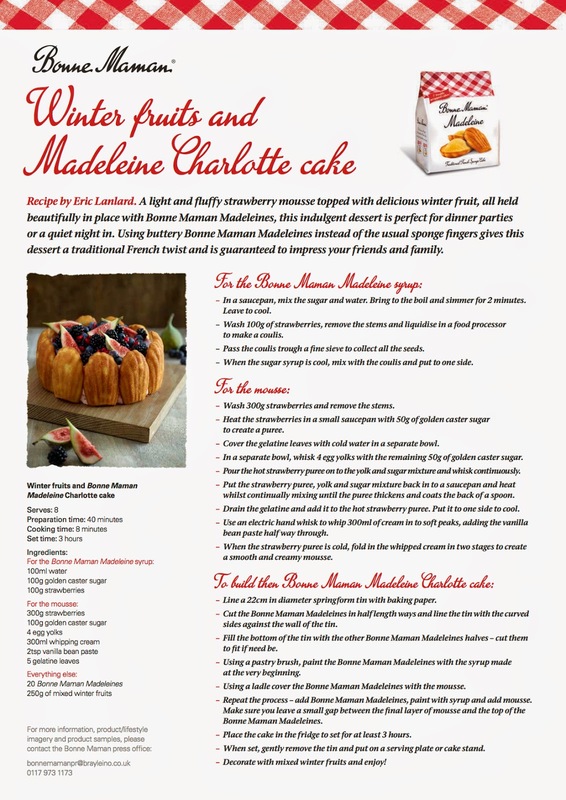 Bonne Maman are an authentic French company who pride themselves on their traditional French recipes, methods and ingredients. Their dedication to the quality of their products shines through, and upon tasting the selection of goodies sent our way it really is hard to find fault with what they have to offer. Aside from the fantastic flavour and texture of their products, for me, the things I were most impressed by was a) how they are packaged and b) the calorie content. Coming from someone who has recently lost 6 stone through calorie counting, it is vital for me to truly understand what I'm eating by having the nutritional information for that product. Bonne Maman print the nutritional information onto everything they sell, and make it clear what the calorie content is per each individual item/portion, instead of per 100g as you find on so many packets of items, which makes it difficult to calculate. 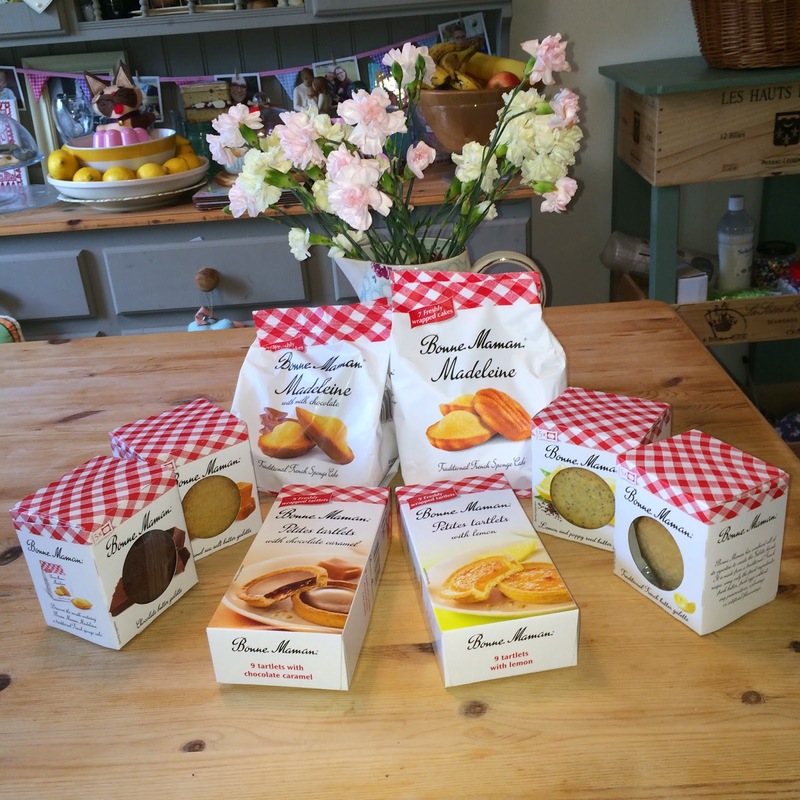 Best of all, for me, each of their cakes and biscuits is packaged individually - meaning you can open a bag of Madeleines or box of galettes without feeling obliged to eat the whole lot. Nothing is going to go stale or ruin, as each item is wrapped in plastic, and so preserved. Having been a greedy over eater for so many years of my life, the novelty of opening a packet of biscuits and just having one or two is a relatively new one for me, but with the Bonne Maman galettes (butter biscuits) each box contains five packets of two pre-wrapped biscuits, making moderation an effortless thing, and meaning that nothing needs to go to waste. We were sent a packet of plain Traditional Madeleines, a packet of Chocolate Madeleines, a box each of Traditional Butter Galettes, Rich Chocolate Galettes, Lemon/Poppyseed Galettes, Caramel & Sea Salt Galettes, Lemon Tartlets and finally, Chocolate Caramel Tartlets. What a selection! We were sent these items a month ago, and I'm pleased to say we've tried everything, shared some with friends and family, and still have some left! We will have no trouble using up the goodies we have remaining in the lead up to Christmas, the practical packaging makes these sweet treats the perfect store cupboard ingredient - oh, I also think they are fabulous for lunch-box treats, their size and packaging means they are small enough to not be too horrendously calorific, but still delicious, and would travel well in their pre-wrapped form. 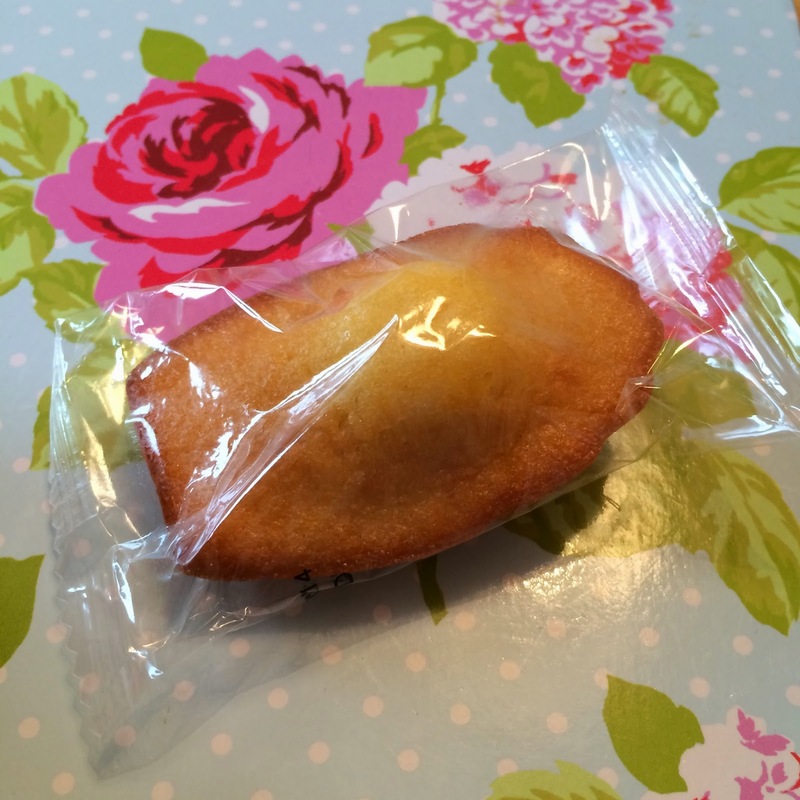 These scallop shell shaped traditional little sponge cakes are simply delicious! The perfect accompaniment to an afternoon mug of tea, these moist and rich sponges taste truly scrumptious. Close to a Madeira sponge in texture and flavour, these light, yet sticky little handfuls have become a firm favourite in our house. Each Traditional Madeleine is 113 calories, and each Milk Chocolate Madeleine is 137 calories. We also tried the chocolate dipped Madeleines, which are equally delicious (although, I have to say, I have a soft spot for the traditional ones, they are to me, perfect). 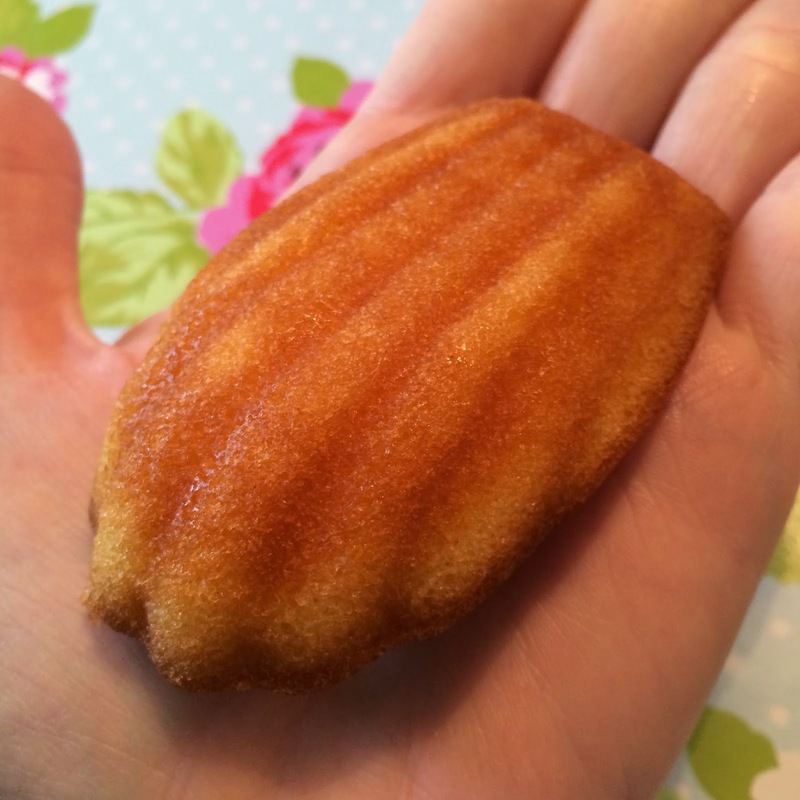 Bonne Maman's Madeleines are available to buy for £1.99 per bag of seven individually wrapped cakes from Sainsburys, Tesco, Waitrose, Ocado, Nisa and Booths. Galettes are traditional French biscuits that bring a little sophistication to your mid-morning coffee or afternoon tea. 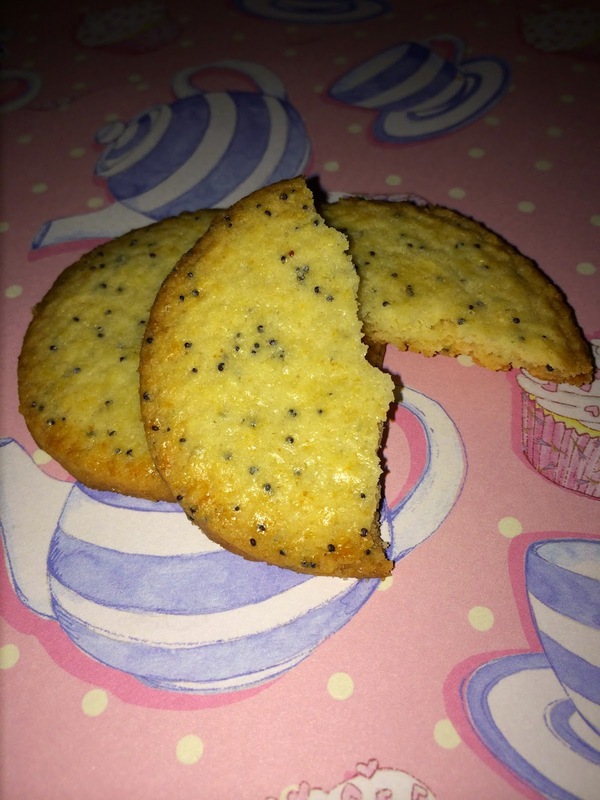 Packaged in portions of two biscuits these large thin biscuits are little slices of buttery heaven. They are the richest and most decadent tasting biscuits, and so two at a time really is enough. Bonne Maman produce their galettes in a fabulous variety of flavours - my favourites were the lemon/poppyseed which are so fresh despite their intense butteriness. We also adored the Caramel Sea Salt flavour (the first box to be emptied completely) whose intensely sweet buttery caramel flavour is perfectly balanced with a sea salty final note - these biscuits taste like such an indulgent treat, but at around 145 calories per two biscuits, they really aren't remotely as bad for you as they taste. The Bonne Maman galettes are available to buy for £1.49 per box of 10 biscuits (5 pre wrapped packets of 2) from Sainsburys, Waitrose, Co Op, Nisa and Ocado. The final product we tried in the Bonne Maman range were their newest additions …deliciously authentic tartlets made from all-natural ingredients. These Petit butter pastry Tartlets are perfect for celebrations, or just an indulgent afternoon treat - they are small, and again pre-wrapped, making them a great lunch box or picnic treat. They come in three flavour varieties - Chocolate Caramel, Lemon, and Raspberry. Closer to biscuits than tartlets because of their size and 'set' chewy middles, I enjoyed these little bites of yumminess with a cup of tea as a late afternoon pick me up, as well as serving them to friends with lunch, or on an afternoon tea platter. 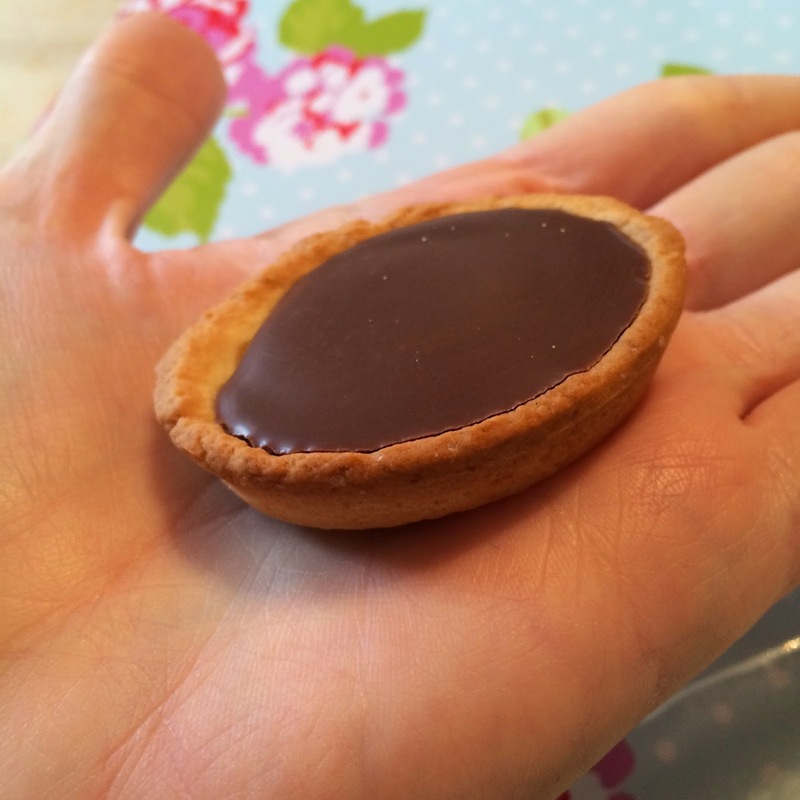 Each Chocolate Caramel Tartlet is 74 calories, and each Lemon Tartlet is 61 calories. 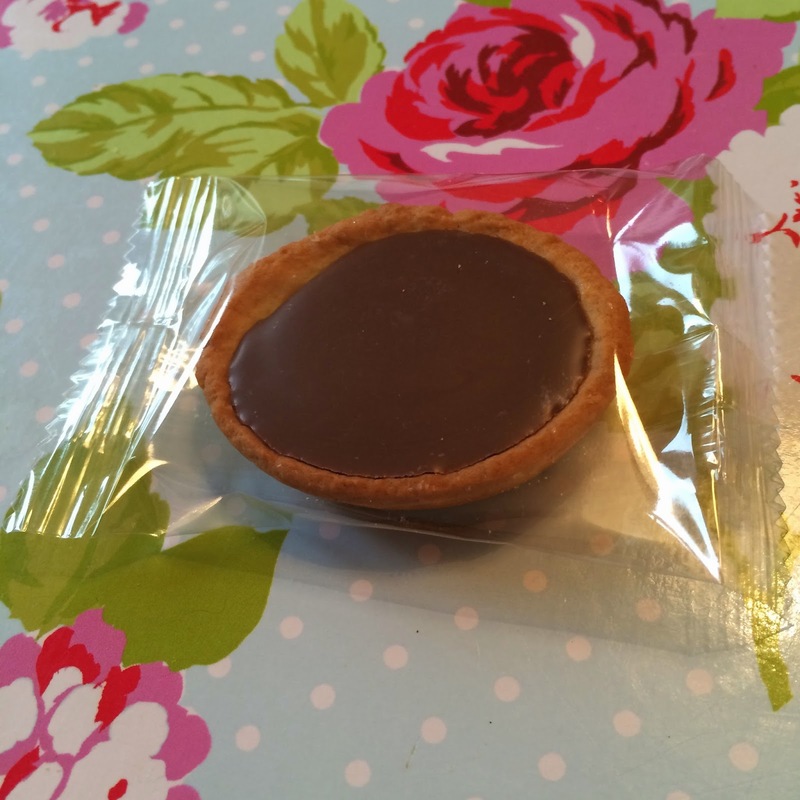 Bonne Maman tartlets are available for £2.15 per box of 9 individually wrapped tartlets at Ocado. 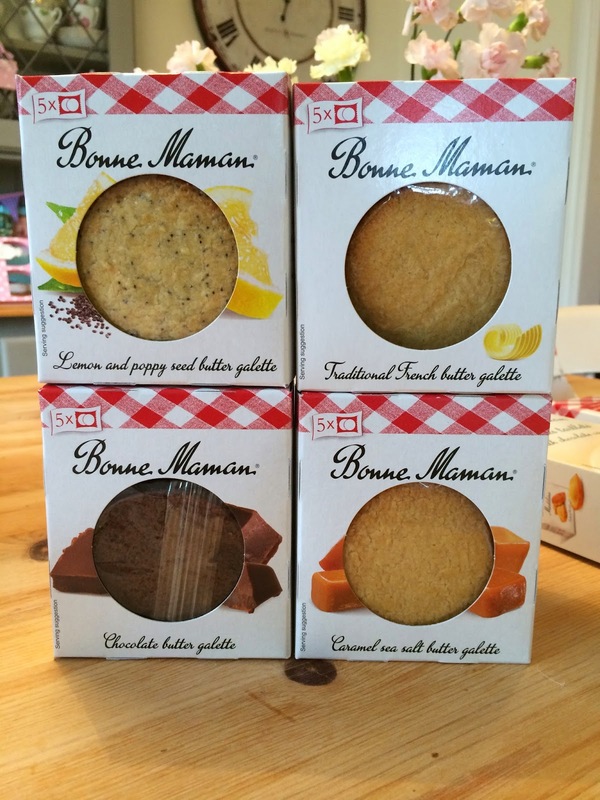 Overall, I am really delighted with the range of products we've tested from Bonne Maman, so much so that I would definitely pick them up for my store cupboard when I next see them in the supermarket. For me, their quality means I would happily and confidently serve them to guests, and they most definitely make it onto our 'will buy/eat' shop bought cake list! These traditional products are so authentic you could easily be mistaken into thinking they were homemade and fresh from the oven. Ramming in a chocolate tartlet - is that nice Bert? 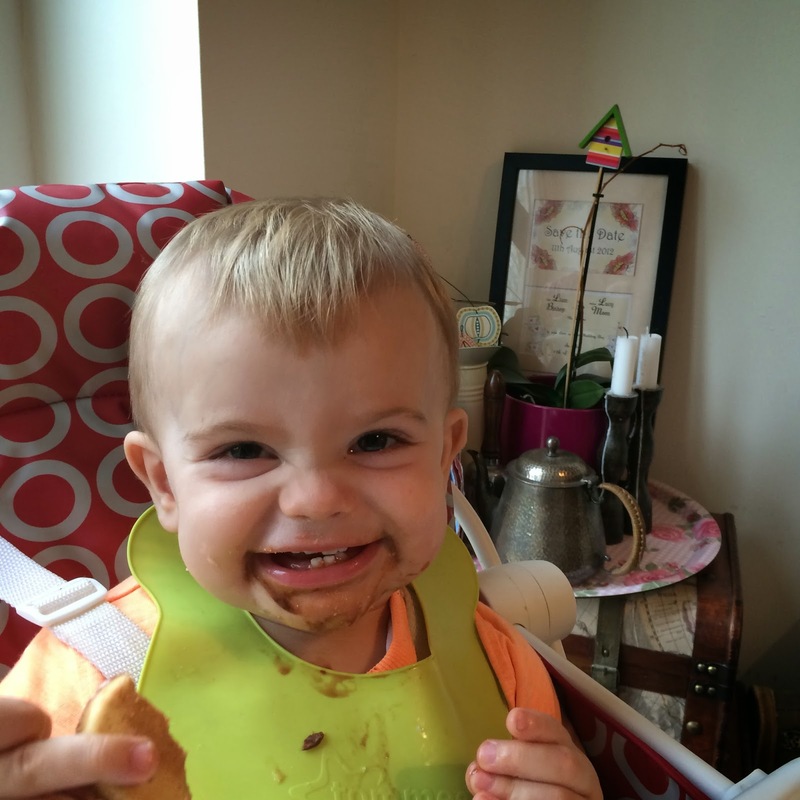 I think that face means "Yes Mum, they're delicious!" This Christmas, make your life easier, and serve your guests some delicious treats with no work at all. During this busy festive period we can't always have a batch of just warm from the oven mince pies at the ready - so for those moments when you have no time, or are caught off guard, having Bonne Maman treats in your store cupboard will mean you'll never be caught short again! Afternoon Tea - Bonne Maman style! 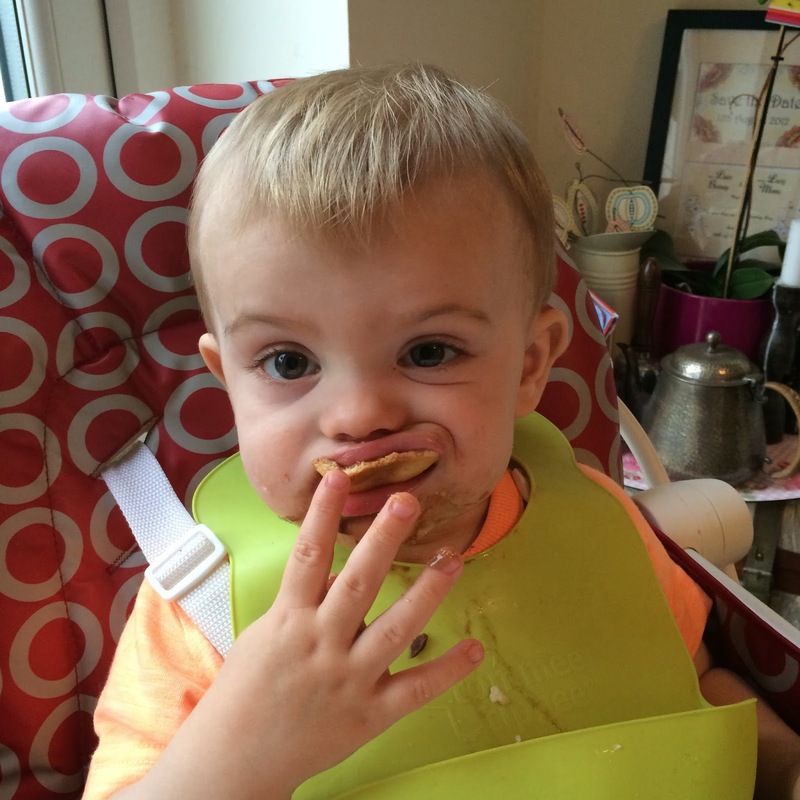 Disclaimer: We were sent a selection of Bonne Maman cakes and biscuits for the purpose of this review. All opinions, words and pictures are my own, excluding the Bonne Maman logo.